Businessmen, bankers and diplomats who want to play the big card in Kuwait have no choice but to deal with the influential families who run the country's economic, social and cultural life. Marcopolis takes a look behind the scenes of the power circles and names you should have on your agenda before even thinking of going to Kuwait. Marcopolis takes a look behind the scenes of the power circles and names you should have on your agenda before even thinking of going to Kuwait. 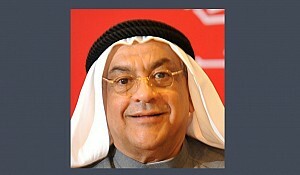 Al-Sabah, also respectfully called the ruling family. The Al-Sabah has been ruling Kuwait since 1718. Originally from the Anizzah tribe from the highlands in central Saudi Arabia, the House of Al-Sabah managed to establish a balance of power with other families and tribes living along the north-western Gulf coast which was accepted by the people of Kuwait over three centuries ago. 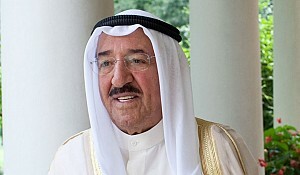 The current Ruler or Emir of Kuwait, His Highness Sheikh Sabah Al-Ahmed Al-Jaber Al-Sabah, was proclaimed Head of State in 2006. Kuwait is a constitutional monarchy, which means that H. H. Sheikh Sabah has to take into consideration the state's article law. Moreover, the Emir has to constantly balance the interests of Kuwait's powerful families - a hidden rule which adapts itself to all of the Gulf Arab states. Al-Kharafi & family owns its retail empire with an estimated wealth of 8.20 billion US dollars and is regularly on the list of the richest families in the world. When the family's former Chairman, Nasser Al-Kharafi, died aged 67 on April 17 2011, mourning in Kuwait paralyzed the country. The Al-Kharafi, now tycoons in the third generation, built their conglomerate through shareholdings in the country's largest lender, the National Bank of Kuwait, in Mobile Telecommunications, known as Zain, and in Americana, a US fast food chain operator. The family has also stakes in the global construction industry, operating in 30 countries. 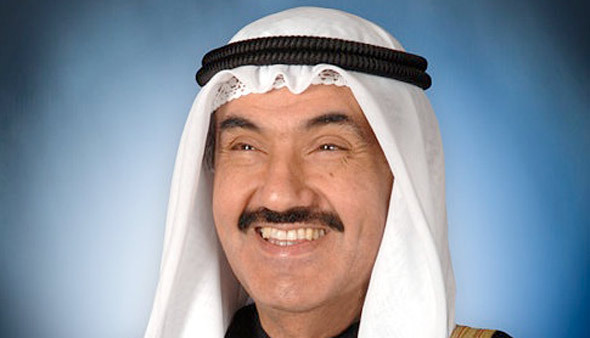 Nasser's older brother Jasim Al-Kharafi was the Speaker of the Kuwait National Assembly or Majlis from 1999 to 2011. Abdulrahman Al-Bahar and Sons are well-known for their shipping business. The Al-Bahars family helped to bring the Kuwaiti spirit of spotting investment and trade business to remote places like India, Kenya, Syria and Europe. The roots of this family empire date back to more than a century ago. Like all family conglomerates, the Al-Bahars, run today by six sons, have diversified their wealth across many sectors including banking, insurance and real estate. 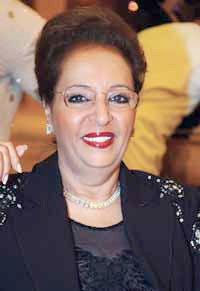 Suad Al-Humaidi is the only woman on the list of the richest Arabs, with an estimated wealth of 2.7 billion US dollars. Considered the face of the famous Al-Humaidi clan, Ms. Suad Al-Humaidi has put the empowerment of women in Middle Eastern business high on her agenda. 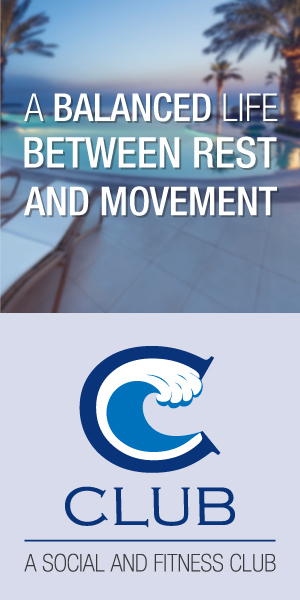 The family owns prestigious properties throughout the region. Among those more well-known to Europeans is the Humaidi-owned hotel and residential tower in Beirut. 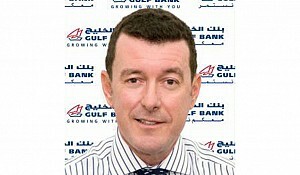 The clan also has stakes in the country's largest lender, the National Bank of Kuwait, known as NBK. 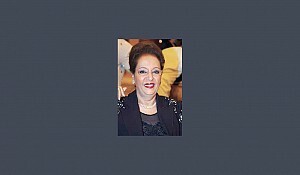 In addition, Ms. Al-Humaidi is a Member of the Board at the Lebanese Bank Audi. The name Al-Sagar is associated with a family-owned business with interests that include oil and gas, petrochemicals, civil engineering, trading, mechanical electrical & plumbing (MEP) works, shipping and logistics. Mr. Al Sagar serves on the Board of Directors of SHUAA Capital psc, the National Bank of Kuwait S.A.K, the National Bank of Ras Al Khaimah PSC and Al Kout Industrial Projects Co. Managing Partner Hamad Abdulaziz Al Sagar is Vice Chairman at Shuaa Capital, one of the region's leading investment banks operating out of Dubai. He also served as a member of the Municipality of Kuwait and was on the board of the country's sovereign wealth fund, the Kuwait Investment Authority (KIA) for four years. Mohamed Naser Al-Sayer and Sons are involved in trading, transportation, product distribution and machinery and equipment sales. Al-Sayer runs general trading branches in the whole of the Gulf region. The family is also a well-known car dealer, with Toyota under their umbrella in Kuwait. The Al-Sayer Group was launched in 1954 and its founder, Naser Mohamed Al-Sayer, flew to Japan in the same year and convinced Toyota to expand its business into Kuwait. In 1984, the group opened its doors to the Middle East's largest car show room, which covers a surface of over 3000 square meters. The Al-Ghunaim family is famous for its trade, real estate and hospitality business. 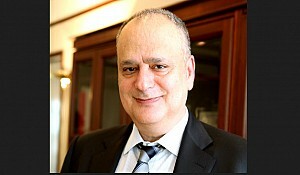 The house of Al-Ghunaim became well-known across the Middle East when Maha Khaled Saleh Al-Ghunaim founded the investment bank Global Investment House, known as Global, in 1998. Maha Al-Ghunaim, or "MG" as her employees call her, earned a BA in Mathematics from San Francisco State University, California, and led Global from scratch to become an influential developer of well-performing funds, concluding regional private equity deals worth billions of dollars. Al-Ghunaim has received notable regional and international recognitions and has been named among the "50 most admired executives in the GCC" (Arabian Business, December 2009) as well as "Top Financier of the Year". In the wake of Lehman's collapse, Global defaulted on a loan worth $200 million. On June 12, 2012, creditor banks agreed to grant Global a delay of $338.4 million in debt settlement. After accumulated post-crisis losses exceeded 75 percent of the bank's capital, Global shares were suspended from trading in Kuwait, Manama and Dubai. Global Investment House has its own headquarters, the Global Tower, which is prominently located near the famous luxury hotel Marriott Courtyard in Kuwait City. The Al-Wazzan family: Jassim Al-Wazzan Sons are well-known for their food business along with pharma, industrial, recycling and services. It's all began when the late Jassim Al-Wazzan founded Mezzan Holding in 1940's, by investing in a small grocery selling basic household necessities as well as canned food products. He then was quick to recognize the demand for certain foods and goods, and seize the opportunity to grow his business through exclusive deals with foreign manufacturers. Al-Wazzan complimented the business by adding manufacturing to the portfolio, "Khazan" the Gulf's first meat processor and "Kitco" one of the region's first potato chips. With a growing business and family, Jassim Al-Wazzan’s Sons joined the business in 1970’s. They were tutored on the fundamentals their father learned over the previous 30 years to maintain the highest business ethics. After the passing of Jassim Al-Wazzan in 1989, the diversity of businesses under the Mezzan umbrella did not stop, becoming one of the largest diversified conglomerates in the ME and understanding success in manufacturing & merchandising sectors like no other company in the Gulf region. halid, Al-Khaled, Al-Hamad, Othman, Boodai, Marzouq, Al-Nafisi, Al-Rashdan, Al-Rashed, Al-Nafisi. Read more about the most powerful family holdings.